The White House released a new memorandum directing Federal agencies to factor the value of ecosystem services into Federal planning and decision-making. 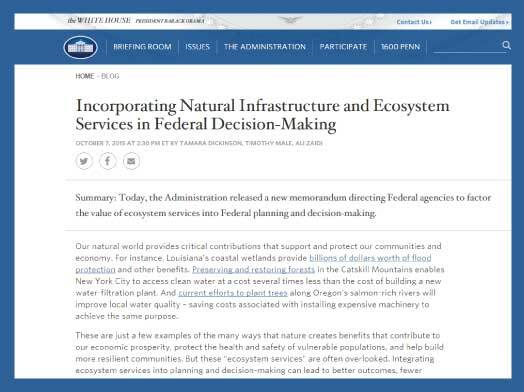 Yesterday, the White House released a memorandum directing Federal agencies to factor the value of ecosystem services into planning and decision-making. 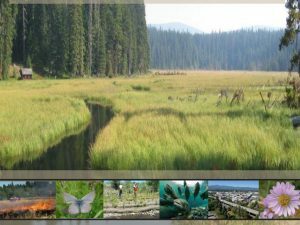 The memorandum directs Federal agencies to develop and institutionalize policies that consider ecosystem services in planning, investment, and regulatory contexts. Along with this directive, the memorandum establishes a process for the government to develop detailed guidance on integrating ecosystem service assessments into programs and projects. 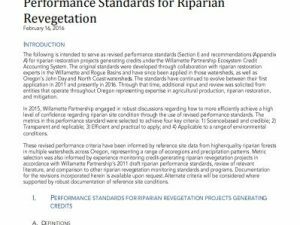 The memorandum makes reference to two efforts Willamette Partnership has been closely involved in. It describes work in the Rogue basin in Oregon to plant trees instead of building costly infrastructure to improve local water quality. 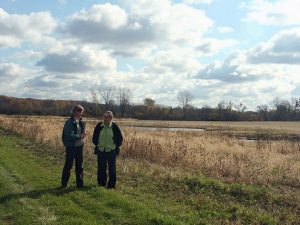 This project is a great example of the better outcomes that can result when ecosystem services are integrated into planning and decision-making. 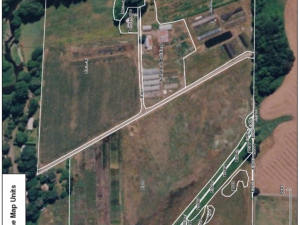 It also highlights the recent USDA and USEPA water quality trading workshop in Lincoln, Nebraska as part of a list of complementary efforts supported by the Obama Administration. At that workshop, the work of the National Network on Water Quality Trading was also featured. The White House’s actions to systematically recognize and build on the benefits of natural systems represent a positive step forward toward ecosystem and community resilience, sustainable use of natural resources, and maintaining the recreational value of the Nation’s unique landscapes.